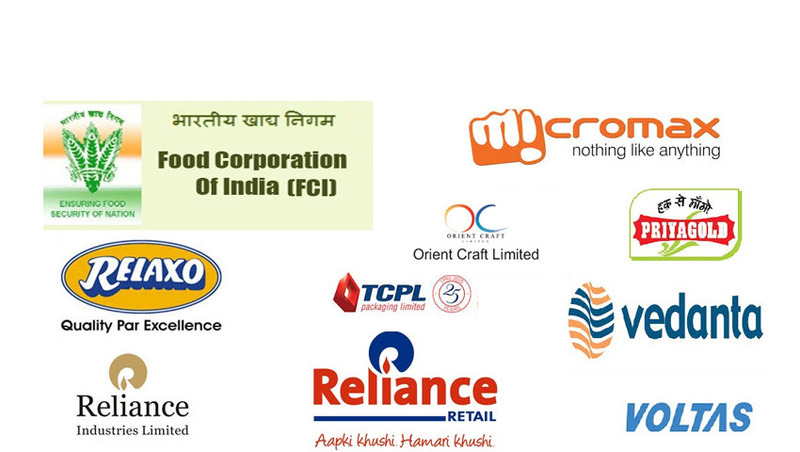 We are leading Manufacturers & Exporters of customized packing conveyors such as Packing Belt Conveyor, Conveyor Table, Packing Table and many more items from India. We have over 30 years of experience in design & manufacturing customized conveyor systems for packing. Our ISO 9001:2008 systems certified workshop is fully equiped with fabrication equipments and is located in Noida (Delhi NCR). We manufacture conveyors for transfer/delivery of packing material and final discharge of finished cartons & boxes. 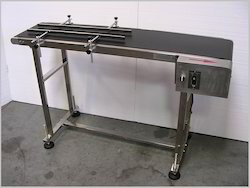 Conveyors Table can serve your transporting, merging, diverting or accumulation problems. The conveyors can solve a wide range of processing requirements including labeling, production inspection, product filling and weighing. Stainless Steel options are available for direct food contact and clean room handling. We manufacture customized packing tables with different materials of construction based on the need of the application. The dimensions of the table are completely customizable as per the customer's needs. Other accessories that can be added to the table are - VESA Monitor mount, Empty carton storage, drawers, Bins infeed, Tape dispensers, Packng roll dispensers, etc. 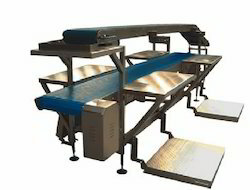 We manufacture customized coding conveyors for inkjet coding of items such as cartons, bags, bottles, etc. The conveyor has adjustable side guides to suit different types of products. The belt speed is variable and can be integrated with the printer, applicator or stitching machine. The conveyor can easily work for small loads and can be further customized for heavy loads such as bags for loading.